Spring has sprung at Bella Forte Designs! These beautifully seasonal cigar style boxes are covered completely with custom printed cloth. As a result the cigar style boxes become a one of a kind presentation for our clients. The client created a color gradient which the BFD team printed onto white Iris cloth. 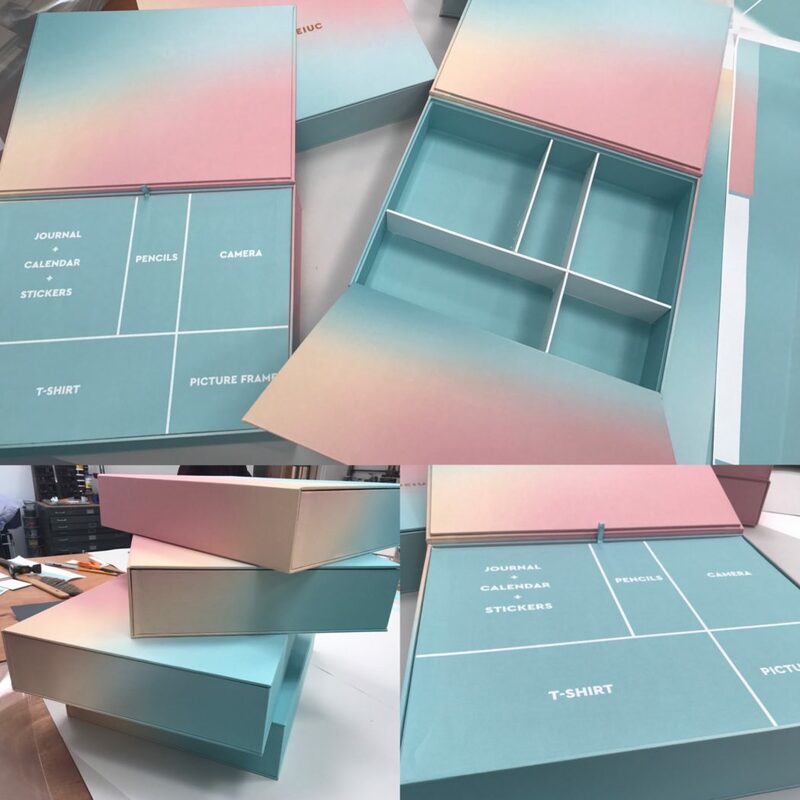 In addition to the printed cloth the box is designed with five wells to house a tee shirt, camera, picture frame, pencils and a journal and calendar. Each item fits perfectly into its assigned well and is identified with a printed interior lid. Wanting to customize your next project with printing on cloth? Take a look at our PDF portfolio.